Y'all. 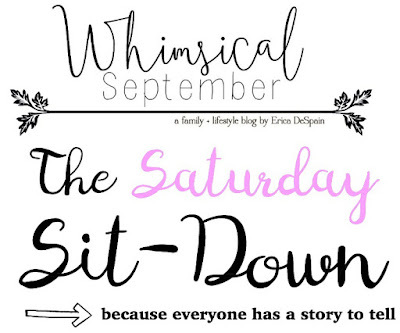 I'm stoked to be the featured blogger over at Whimsical September today for The Saturday Sit-Down! Erica is just the sweetest, and I feel such a connection to her as we've both had our families moved around the country (though she moved out of Huntsville, Alabama, whereas I moved in. Too funny, right?). Head over to her blog and stay awhile (her genuine writing and cute, attainable fashion posts are my favorite) and of course catch my interview! Happy Saturday! Loved learning more about you, Amanda! !